Skedulo, a service that helps businesses manage their mobile employees, today announced that it has raised a $28 million Series B funding round led by M12, Microsoft’s venture fund. Existing investors Blackbird and Castanoa Ventures also participated in this round. 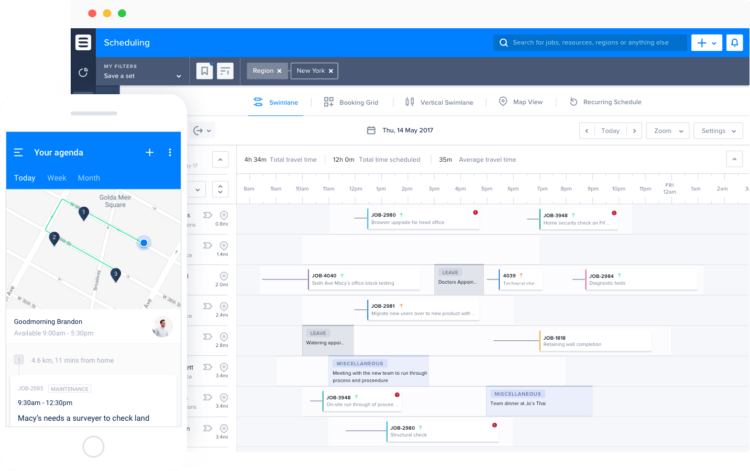 The company’s service offers businesses all the necessary tools to manage their mobile employees, including their schedules. A lot of small businesses still use basic spreadsheets and email to do this, but that’s obviously not the most efficient way to match the right employee to the right job, for example. At the core of Skedulo, which offers both a mobile app and web-based interface, is the company’s so-called “Mastermind” engine that helps businesses automatically match the right employee to a job based on the priorities the company has specified. The company plans to use the new funding to enhance this tool through new machine learning capabilities. Skedulo will also soon offer new analytics tools and integrations with third-party services like HR and financial management tools, as well as payroll systems. The company also plans to use the new funding to double its headcount, which includes hiring at least 60 new employees in its Australian offices in Brisbane and Sydney.